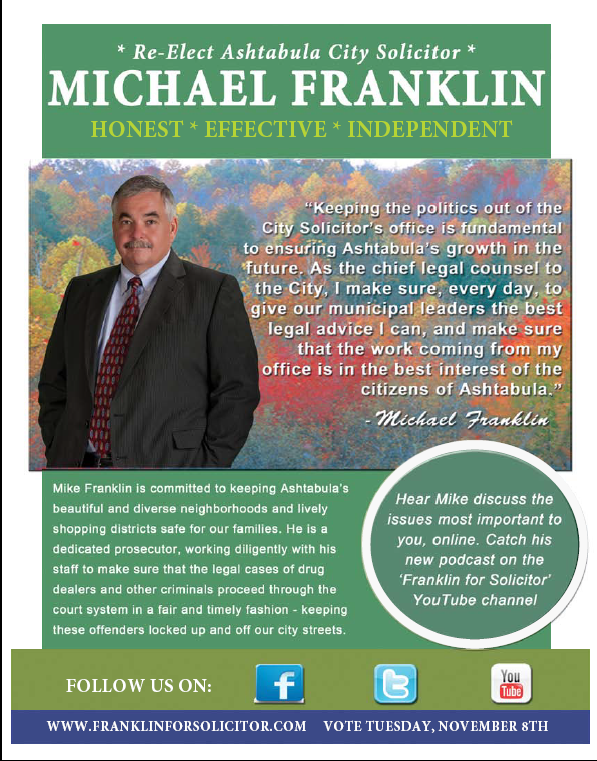 Incumbent Ashtabula City Solicitor Michael Franklin (Independent). 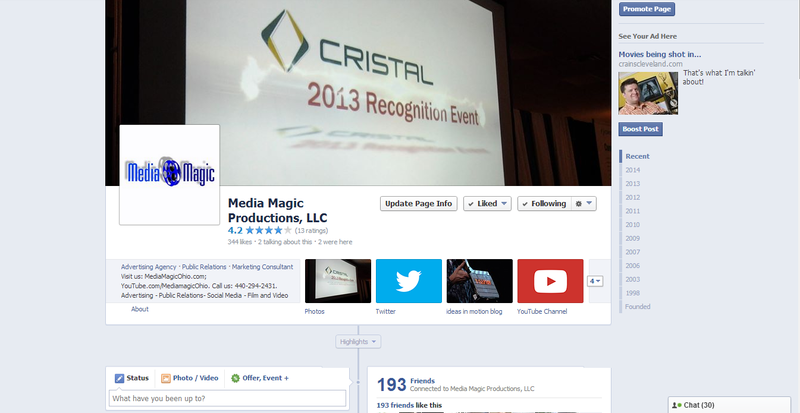 Michael Franklin hired Media Magic to handle his re-election campaign marketing for the 2011 general election. He was facing a tough campaign by his predecessor, a Democratic candidate , whom be beat, with our assistance, in 2007. His opponent, who had a very well known and documented checkered past, decided he wanted his old job back, and was expected to go extremely negative in his campaigning. Franklin was looking for a winning campaign strategy to counter this. We, at Media Magic, believed the most important thing the Franklin campaign had to do was to dominate the message going out to the voters, from the start, and to remind voters of his opponents alleged criminal activity, while in office, so that when they heard the name of his opponent, they immediately associated with his past negative actions … no matter their political affiliation. That would put his opponent on the defense from the get-go and allow Franklin’s message to be heard. To accomplish this, we designed Franklin’s campaign website to give viewers a clear picture of his mission and accomplishments in the past four years. It also had a special page filled with links to newspaper and magazine coverage of all of his opponents misdeeds, in and out of office. Franklin did not have to make accusations on his own – the newspapers took care of this for him. 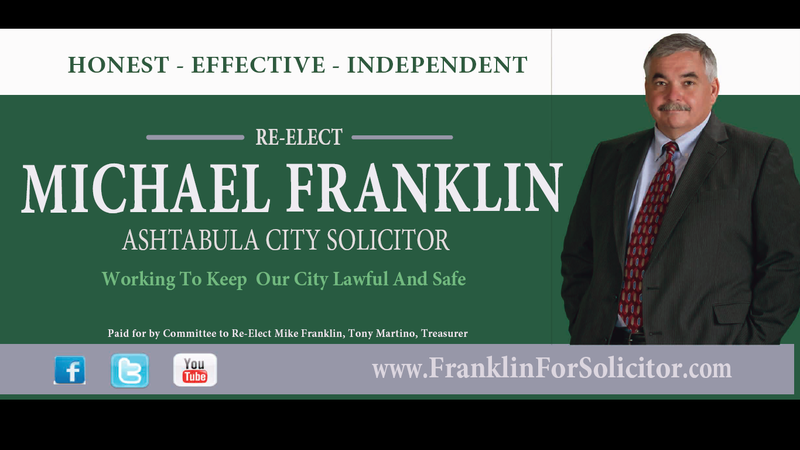 We then posted links to articles on this page on Franklin’s Facebook, WordPress blog, LinkedIn and Twitter pages, along with very active local political forums on Facebook. This drove traffic back to the campaign website, where readers could read more about Franklin and see more of the negative articles published about his opponent. Michael also took part in a half hour podcast with a local political blogger. Connecting with constituents on Facebook and other social media outlets really allowed Franklin to communicate his message directly to interested voters and win their trust. 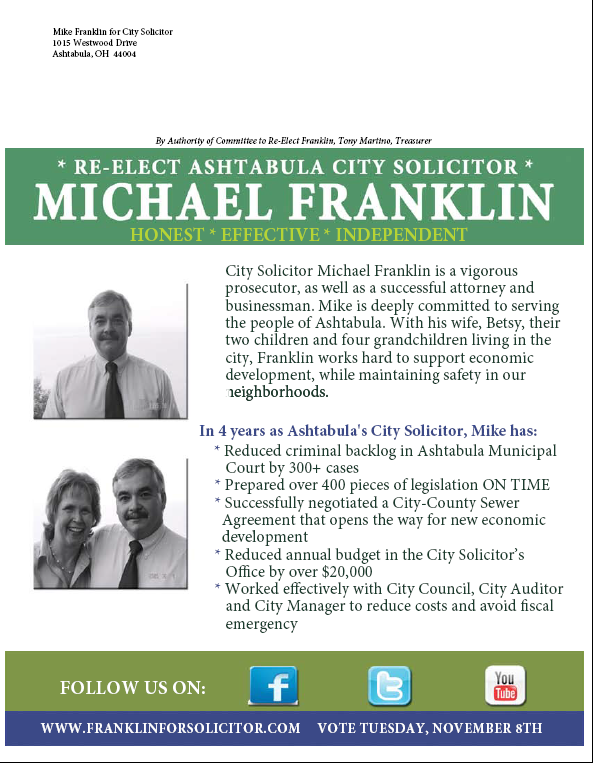 At the beginning of September, Media Magic filmed and produced two radio and TV ads for Mike Franklin, one featuring his on camera, discussing his accomplishments, the other showing part of a televised debate in which his opponent denied knowledge of any wrongdoing in office. In the ad, his statement was followed by past newspaper headlines detailing the charges against him. 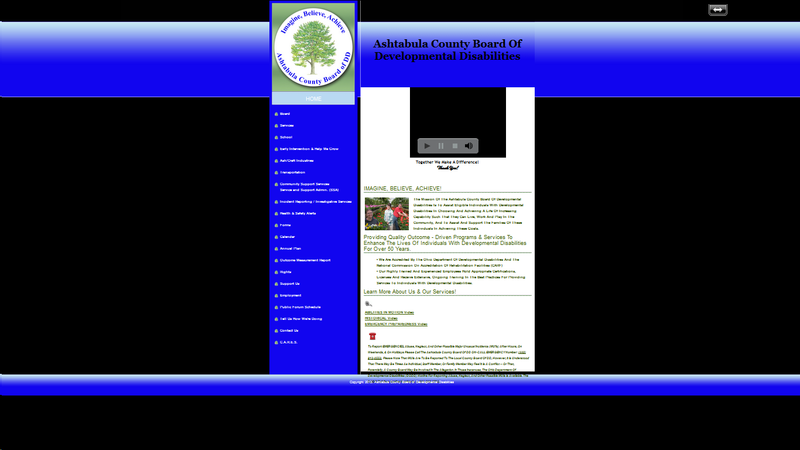 These ads aired on local cable and radio throughout the campaign season and were placed on Franklin’s website, Facebook and YouTube pages, available 24/7. We also took advantage of online advertising, placing ads on the newspaper and radio station websites, and ads on Facebook. As a result, Google shot his ranking up, giving Franklin a dominating online presence that his opponent, who did little advertising, could not touch. To kick start the ground game, Media Magic created an arsenal of campaign collateral for hand out and direct mail: a postcard mailer, 3 campaign flyers, five quarter page and full page ads in the two local newspapers, plus the ad and story in the Election Tabloid. When his opponent leveled unsubstantiated charges against Franklin, Media Magic set up two press conferences, to counter the false claims. these press conferences resulted in at least three positive stories for Franklin, and several other negatives stories about Franklin’s opponent. Franklin handily defeated his opponent in the general election.